Declassified documents published today by the National Security Archive include the transcript of U.S. President Bill Clinton’s phone call to Yeltsin the next day to praise him, the memcon in which U.S. Secretary of State Warren Christopher subsequently told Yeltsin this was “superb handling,” and two State Department cables painting a more complex portrait of the causes of the events. 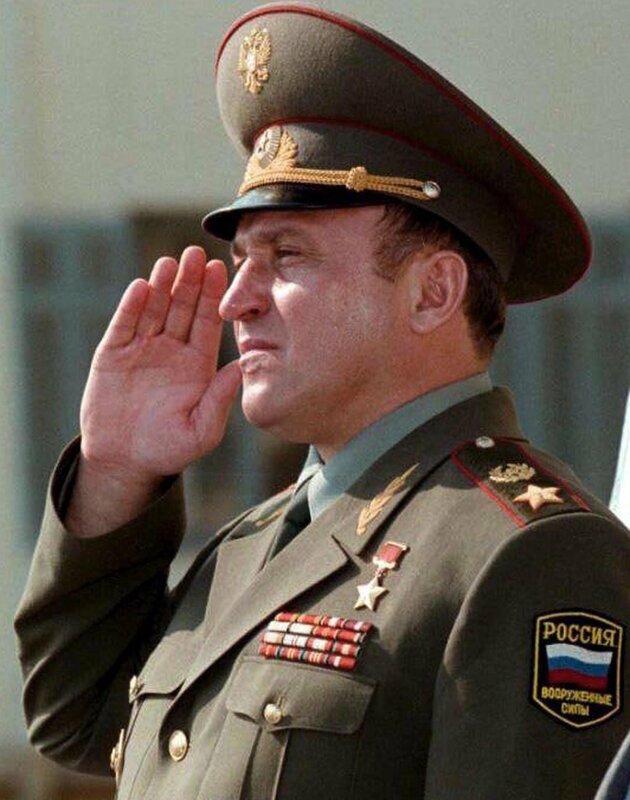 The Web posting also includes two oral history accounts, one from then-Russian Defense Minister General Pavel Grachev about his specific role, including his orders to fire the tank cannon that set off a “beautiful fire” in the White House, and the other from U.S. 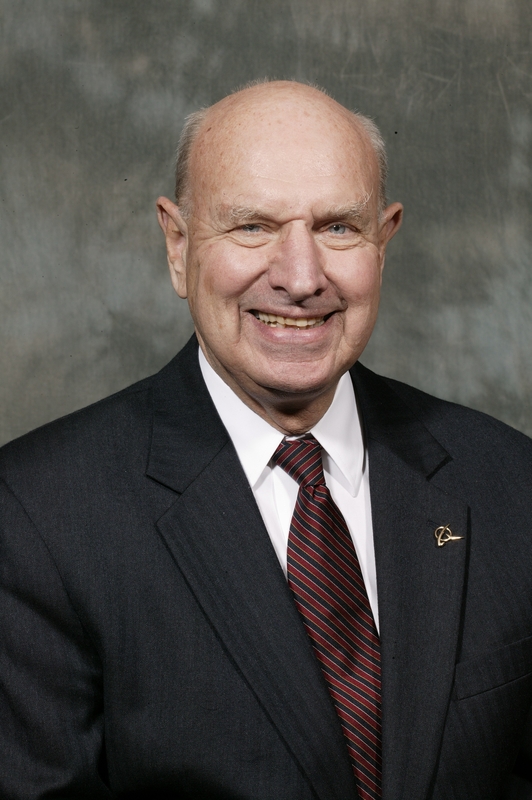 Ambassador Thomas Pickering who believed the U.S. had “no choice” but to support Yeltsin. Marking the 25th anniversary, Russian media such as Gazeta.Ru and leading independent newspaper Novaya Gazeta have published multiple interviews and historic photos and video footage of the events, but no new Russian documents. 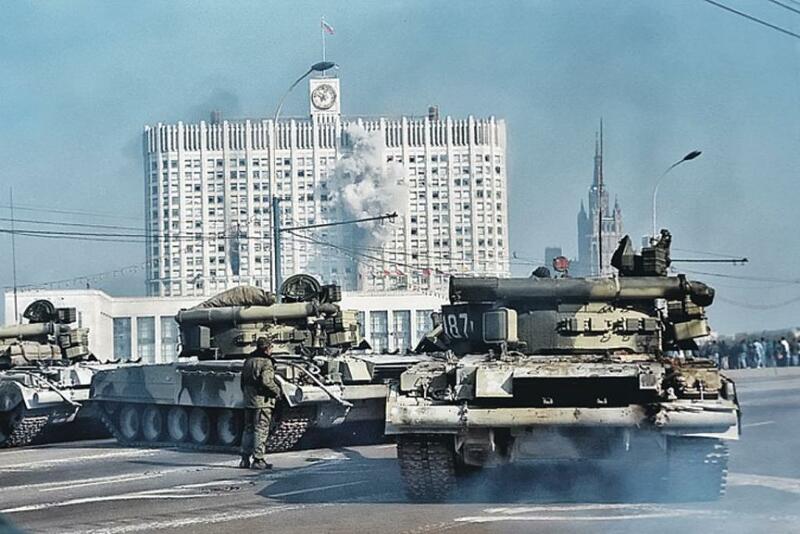 Novaya Gazeta argues that October 1993 was the crucial turning point towards today’s autocracy. 25 years ago today in Moscow, President Boris Yeltsin resolved his standoff with the Supreme Soviet of the Russian Federation by storming the White House, which resulted in numerous casualties, but even more importantly, in the loss of faith in democracy and in the overwhelming preponderance of executive power in Russia ever since. New documents published today by the National Security Archive provide a glimpse into how the situation was viewed from Washington and from the Kremlin. At the time, from these two vantage points, the picture was black and white—democratic and free market reformers on Yeltsin’s side and a communist and fascist opposition trying to force the country back into its totalitarian past. Since power in Russia never changed hands other than by way of transfer to a chosen successor, full public examination of evidence of the events of 1993 never took place. However limited, the selection of documents published today shed new light on the complexity of the events and the high stakes the Clinton administration saw in Russia in the fall of 1993. By the time the Clinton administration came to office in January 1993, the momentum of Russian reform was on the decline. Faced with severe consequences of market reform coupled with the effects of disintegration of economic ties after the dissolution of the USSR and the absence of any meaningful foreign economic assistance, Russia’s population and political elites began questioning the pace of the reform and the forceful methods of its implementation. 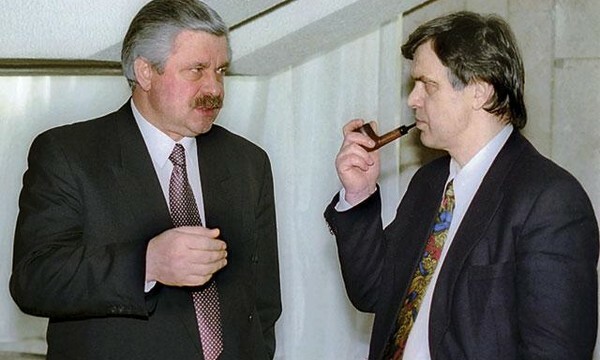 The team of young reformers that Yeltsin appointed in late 1991 was decimated under the pressure from the Supreme Soviet, and Yeltsin had to replace Acting Prime Minister Yegor Gaidar with Victor Chernomyrdin in late 1992. Rather than negotiating with the Parliament, Yeltsin habitually ruled by issuing Presidential Decrees. The opposition led by Vice President Alexander Rutskoy and Chairman of the Supreme Soviet Ruslan Khasbulatov was growing in the Parliament and in the regions, and blocking most of the president’s initiatives, which led to a paralysis of governing. The incoming U.S. administration started its dialog with Russia in a state of virtual civil war between the executive and the legislature. The declassified telcons and memcons of early Clinton-Yeltsin conversations show instant chemistry between the two leaders, genuine warmth and optimism and an incredibly rich agenda on which Russia and the United States agreed to cooperate (Document 2. See also EBB 640). 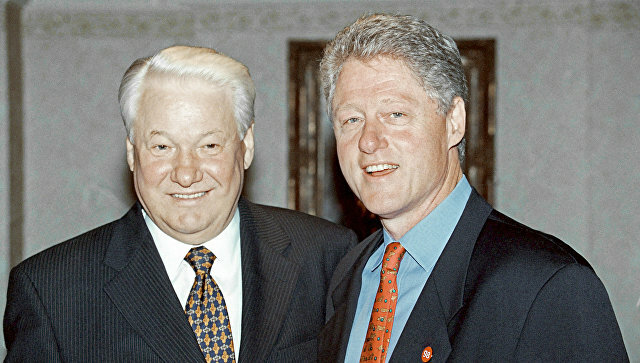 Clinton mostly set the agenda, while Yeltsin, eager to build a genuine partnership with America, enthusiastically agreed to work together with him. Clinton was deeply committed to Russia’s transformation into a democracy and market economy as well as to its full integration into the Western world. Another top U.S. priority was to safely manage the post-Soviet re-gathering of nuclear arsenal back to Russia and to help it to dismantle and secure weapons and fissile materials, which was accomplished in the framework of the Nunn-Lugar programs (See EBBs 447, 528 ). Given this setting, Yeltsin, with his resume of a democratically elected Russian leader and a defender of democracy during the coup of 1991, seemed like an ideal partner who could deliver on all U.S. priorities. 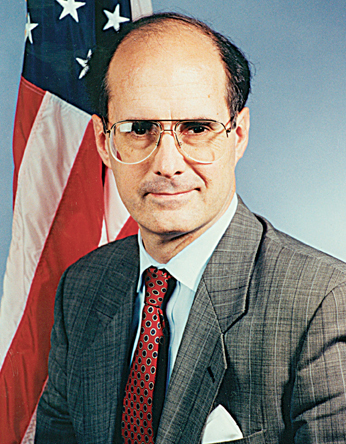 According to Strobe Talbott, some of Clinton’s advisers were concerned about Yeltsin’s unwillingness to consult and compromise with the Parliament and advised Clinton to focus on “principles and process,” not personalities. The president, however, was committed to Yeltsin as a personification of the revolutionary change and responded that this was “a zero-sum” thing. This perception only intensified during Yeltsin’s final showdown with the Supreme Soviet in the final days of September 1993. 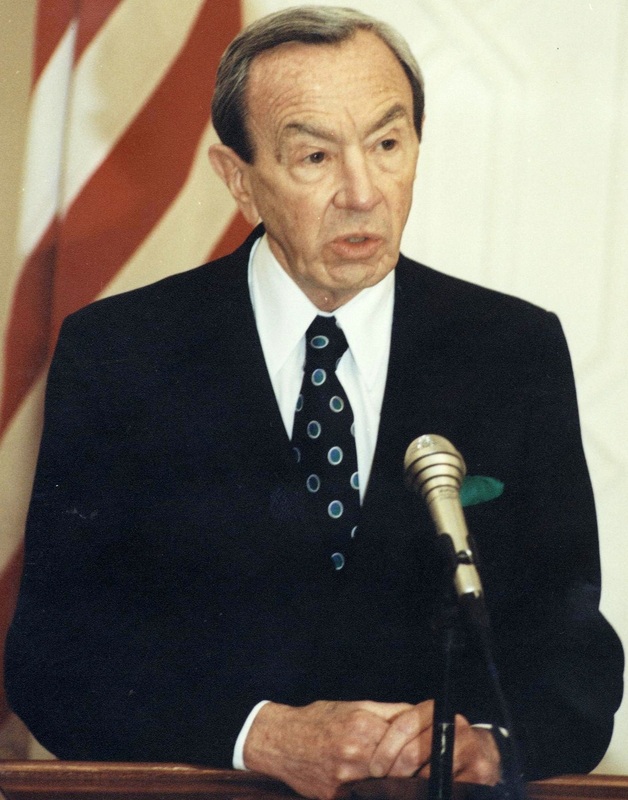 According to Ambassador Thomas Pickering, Yeltsin sent Foreign Minister Andrei Kozyrev to notify four key Western ambassadors about his intention to dissolve the Parliament and call for new elections (Document 4). In Clinton’s first phone call to Yeltsin immediately after the latter issued Decree 1400, dissolving Parliament and setting a date for early elections and a constitutional referendum, the U.S. president expressed his full support and accepted Yeltsin’s assurances that there would be no bloodshed and the reform would move faster now that there would be no obstacles. U.S. support for Yeltsin remained unwavering all through the confrontation and after the Russian President issued the order to storm the parliament (after initial violence on the part of the opposition). 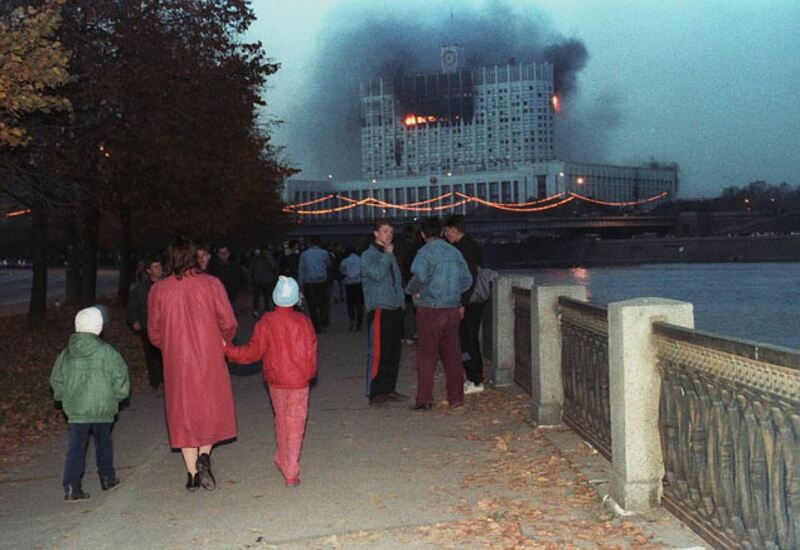 On the morning of October 4, Muscovites awakened to the awful sight of the burning Parliament building—the White House they had defended against the putsch in August 1991, where Yeltsin had stood on a tank and led the democratic forces. 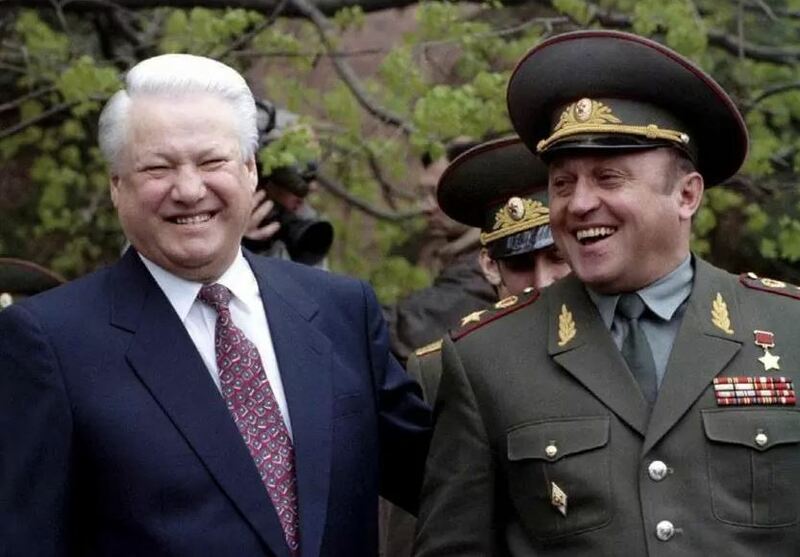 On October 5, the day after the bloodshed, Clinton called Yeltsin and congratulated him for his handling of the situation; he did not ask about the loss of life. Even stronger support was expressed by Secretary of State Warren Christopher, while visiting in mid-October, who practically lauded Yeltsin for his actions during the crisis. Documents show that the Clinton administration saw no alternatives to Yeltsin and was prepared to support him no matter what. This situation grew out of the extreme personification of U.S.-Russia policy but also from the black-and-white picture the Yeltsin camp presented of the political situation in Russia, painting his opponents as “fascists” and unreformed communists. In fact, it was the same Supreme Soviet that was elected in the lauded free elections of 1990, that elected Yeltsin its chairman, and that granted him emergency powers to implement the radical economic reform in October 1991. As the year 1993 progressed and the political confrontation in Russia deepened, the U.S. administration dealt exclusively with the Yeltsin camp and came to regard the opposition as their Russian interlocutors presented them. But most importantly, the stakes were very high: Yeltsin was a good partner who was willing to play on U.S. terms, and any alternative—even democratically elected—was deemed unlikely to be as cooperative or reliable. The Clinton administration was therefore highly invested in Yeltsin and, as Ambassador Pickering says he told Strobe Talbott, “you’ve got no other choice” than to support Yeltsin and hope that the December elections would be free and fair. Not all actors on the U.S. side shared that opinion. Chargé d’Affaires James Collins’ cables show a more nuanced reading of the crisis and a deep concern about the fairness of the elections and the authoritarian potential of Yeltsin’s new Constitution, which Collins calls “half-baked.” (Document 7). The Pickering oral history also points to differences of opinion within the Embassy (Document 4). These disagreements did not seem to affect Clinton’s consistent support for Yeltsin’s handling of the opposition. U.S. backing remained constant after the disastrous election results in which Yeltsin’s party received only 15 percent of the vote and the Constitution barely passed the referendum. The system that emerged was essentially super-presidential, which did not worry most senior U.S. officials as long as a true democrat, in their view, held the post of president. 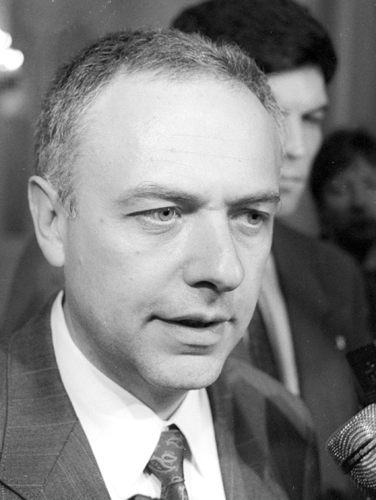 The last document in today’s published selection is an excerpt of an oral history interview with Yeltsin’s Defense Minister Pavel Grachev conducted by Petr Aven and Alfred Kokh (Document 12). Grachev’s account of events provides a graphic picture of how the Yeltsin camp viewed the opposition and their methods of dealing with it. It also gives great insight into the complexity of the situation and the role of the armed forces. The Clinton administration at the time saw Yeltsin as the guarantor of Russia’s democratic transition and thus viewed the outcome of the crisis as a victory for democratic forces, however unfortunate the loss of life was. Many Russian democrats, however, considered the events of 1993 as the turning point from democracy to an increasingly paternalistic and autocratic rule by Yeltsin and his successor. Twenty-five years later, the controversy over the constitutional crisis of 1993 is not over and final judgments will have to await, among other things, the declassification of top-level Russian documents. The main editor of Novaya Gazeta, Sergey Kozheurov, elected for the second time in November 2017, was the founding editor of the newspaper from 1993 to 1995.